Gastroesophageal reflux disease is a condition in which the contents of the stomach return to the food pipe or esophagus and impairs quality of life. Acidity or heartburn is the burning sensation that you feel in the chest due to the reflux. 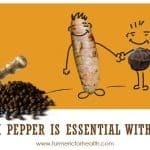 In our article 5 reasons why turmeric is good for heartburn, we have already covered the benefits of turmeric in GERD. Its anti-inflammatory, antioxidant and gastroprotective property aids in lowering acidity and symptoms associated with it. Interestingly quite some people have reported symptoms of acidity being induced upon consuming turmeric. 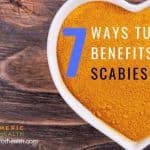 Though contrary to established research, this finding is important since it can inhibit people from deriving health benefits from this spice. This article is aimed at understanding the reason behind this paradox. Why in some cases turmeric/curcumin cause acidity? Research proves that because of turmeric’s anti-inflammatory, anti-microbial, anti-oxidant properties it can not only help prevent Gastroesophageal reflux (GERD) / acidity but can also prove to be beneficial in the treatment and reducing its harmful effects in the body. Turmeric is a herb and spice that is a native to Asian countries. Curcumin is the bioactive ingredient of turmeric that has received the most attention in terms of research. Research shows that alcohol extract of turmeric has anti-ulcer property in the animal model. It increased the content of gastric mucus which protects the lining of stomach wall from erosion and ulcers. A number of studies have demonstrated the anti-ulcer effect of curcuminoids and turmeric extract. Curcumin in combination with H.pylori eradication triple therapy is found to reduce dyspepsia symptoms in those suffering from peptic ulcer. Curcumin and other compounds found in turmeric help in preventing as well as healing gastric ulcers. Helicobacter pylori are the infective cause behind GERD. The growth of these bacteria gives rise to symptoms of acidity and heartburn. Sarkar et. al have documented the ways by which turmeric offers therapeutic action in H.pylori infection and the problems encountered in implementing this therapy. 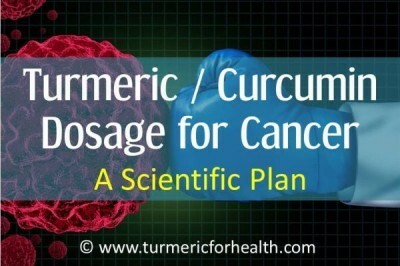 Curcumin’s anti-inflammatory, antioxidant, anti-microbial and anti-carcinogenic effects are responsible for it. A study in cells and animal models show that curcumin reduces the production of inflammatory chemicals initiated by H.pylori infection such as matrix metalloproteinases and reduces the activation of genes which are toxic to cells. Lab studies show that curcumin’s anti-microbial action is effective in terminating growth of H.pylori infection. 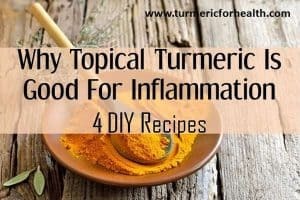 Curcumin is a strong anti-inflammatory agent; it reduces the level of inflammatory mediators and also increases the production of anti-inflammatory molecules. Animal study shows that curcumin treatment lowers the level of inflammatory agents secreted in the stomach due to H.pylori infection. Nuclear factor kappa B is the protein that controls inflammatory processes. Curcumin prevents activation of nuclear factor kappa B in gastric mucosa caused by H.pylori infection. Curcumin’s anti-inflammatory action can counteract stomach inflammation occurring in GERD. Curcumin and other curcuminoids are strong antioxidants. They raise the level of antioxidant enzymes and scavenge free radical species that cause oxidative damage. This antioxidant property of curcumin contributes to its anti-ulcer activity. In animal study, curcumin was found to reduce oxidative stress, inflammation, and gastric acid secretion, thereby exerting a protective effect against ulcer formation. Curcumin’s antioxidant property reduces the oxidative stress and tissue injury occurring in gastric ulcer. GERD is characterized by reflux of stomach contents, bile acids, and low stomach ph. Exposure of cells in the foodpipe to these acidic materials gives rise to inflammation of esophagus which is known as esophagitis. This subsequently can lead to Barret’s esophagus or even esophageal adenocarcinoma. Exposure of esophageal lining cells to a low pH induces activation of inflammatory cytokines like interleukins due to activation of nuclear factor kappaB (a protein that controls the inflammatory process). Curcumin inhibits the activity of nuclear factor kappa B and prevents activation of esophageal cells in response to low pH, thus reducing esophageal inflammation in GERD. In a lab study mimicking the conditions of bile acid damaging the esophageal cells, curcumin treatment was found to reduce the levels of an inflammatory enzyme like COX and improves antioxidant defenses. 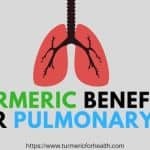 A pilot study was conducted where patients with Barret’s esophagus were treated with 500mg curcumin and a reduction in inflammatory chemicals was observed. Termination of damaged cells was also observed. By virtue of this pharmacological effect, curcumin offers chemoprotection to gastrointestinal cells. Unlike the contrary perception, curcumin protects the esophagus from acid reflux, bile and inflammation. It is found to be therapeutic in conditions like Barret’s esophagus. Laryngopharyngeal reflux or silent reflux is when the contents of the stomach move back to the throat and cause symptoms of hoarseness, wheezing and cough. It occurs when gastric pepsin moves to the cells of the airway and causes damage, inflammation and oxidative stress. A cell culture study was conducted where cells lining the airway were treated with curcumin and other natural extracts prior to treatment with pepsin. Curcumin inhibited the activity of pepsin and the damage caused by it. 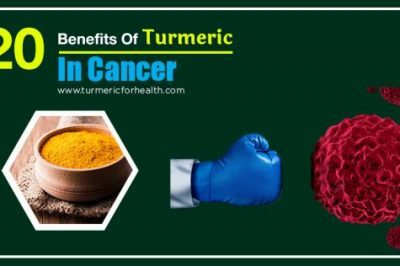 Pepsin reduced the activity of a tumor suppressor gene which could lead to cancerous conditions, however, curcumin treatment rectified this. Researchers concluded that dietary supplementation or adjunctive therapy which such natural plant extracts can help in treating symptoms of silent reflux. Curcumin’s anti-inflammatory effect is found to be beneficial in treatment of laryngopharyngeal reflux or silent reflux. This is when acids flow back to the throat and cause cough and hoarseness. NSAIDs (non-steroidal anti-inflammatory drugs) or painkillers do cause gastric side effects on long-term leading to acid reflux. They cause gastritis or inflammation of the tissue lining the stomach wall and among severe side effects, they may also cause gastric erosion or bleeding. Many studies that curcumin protects from such deleterious side effects caused by painkillers. Long term consumption of painkillers can give rise to acidity like symptoms and at worse stages can lead to gastric erosion, bleeding and GERD. Curcumin is found to mitigate the gastric erosions caused by painkillers. A study comparing the anti-ulcer effect of curcumin and omeprazole ( a medication prescribed to reduce acidity and treat stomach ulcers) showed that curcumin had a stronger potential of treating ulcers compared to omeprazole. Curcumin-treated ulcers by inducing angiogenesis or formation of blood vessels in the tissue lining the stomach; this prevents and promotes healing of ulcers. Curcumin’s anti-ulcer activity was found to be better than omeprazole, a medication prescribed for treatment of GERD and peptic ulcers. Liju et.al conducted a study to investigate the effect of turmeric and ginger oils against gastric ulcers. Turmeric essential oil and Ginger essential oil inhibited ulcer by 84.7% and 85.1%, respectively. 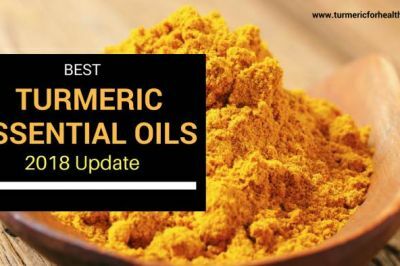 An improvement in the level of antioxidant enzymes was observed with administration of turmeric and ginger essential oils. The oils also reduced tissue damage, erosion of stomach lining and bleeding of the stomach lining. Turmeric oil exerts gastroprotective effect which prevents ulcer formation. 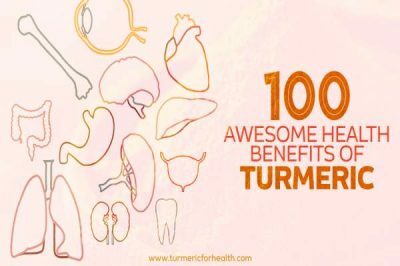 If turmeric holds so many benefits in GERD and acidity, then why exactly do some individuals face acidity on taking turmeric. Spicy diet is generally recommended to be avoided if suffering from acidity or peptic ulcers. This is because spices contain active ingredients that irritate the gastric lining. However, there is no conclusive evidence available that states that consuming spicy food causes acidity and avoiding it relieves the symptoms. But definitely in real life, there are some foods that trigger acidity like symptoms such as fish oil, chocolate etc. And people do experience it with turmeric too. A study published in the Indian Journal of Medical Research, 1980 revealed that curcumin induces the formation of ulcers. A dose of 50-100mg/kg administered orally for 6 days produced ulcers in the stomach in an animal model. A reduction in gastric mucus was observed and the interaction of histaminergic receptors is suggested. Histaminergic receptors are proteins present in the lining of the stomach that secretes gastric acid for digestion. In the case of acidity, secretion of acid from these receptors is high and medications like rantidine are prescribed to block their activity. This is the only study which shows that curcumin causes a gastric ulcer and no other study till date seems to have produced similar results. One interesting observation is that daily consumption of curcumin per person is around 60-100mg/kg and no side effects are observed. Kim et. al have demonstrated that turmeric prevents the formation of gastric ulcers by inhibiting the activity of histaminergic receptors. 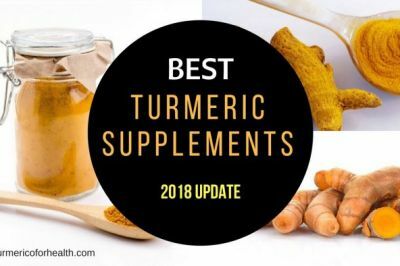 Their study pointed out that curcumin did not block histaminergic receptors but the extract of turmeric in alcohol and organic solvent showed this property. Other researchers have proven that it is turmeric oil that is therapeutic in the histamine-induced gastric ulcer. Despite findings of various animal and cell culture studies that prove that curcumin inhibits the growth of H.pylori bacteria, there are some studies show that curcumin supplementation in humans may not bring about a similar effect. A study was conducted wherein individuals suffering from H.pylori infection were treated with OAM (Omeprazole, Amoxicillin, and Metronidazole) treatment or curcumin. The eradication rate of H.pylori was 78.9% in OAM group and only 5.9% in the curcumin group. A reduction of inflammatory proteins like interleukin-8 was observed in OAM group but such changes were not observed in the curcumin group. 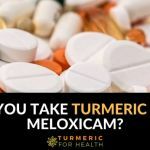 This could be possibly due to the reduced bioavailability of curcumin or requirement of higher doses. Researchers investigating the role of hot water extract of turmeric in preventing ulcers do state that turmeric may cause mild irritation. 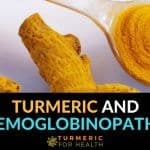 Curcuminoids present in turmeric can cause mild gastric irritation if consumed for a long time and on an empty stomach. You are not using good quality organic turmeric. You are taking turmeric on an empty stomach. You are taking large doses of turmeric. You are taking curcumin supplements at large doses, probably on an empty stomach and for a long term. 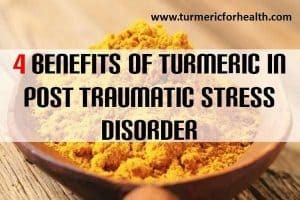 You are probably taking turmeric or any spice for the first time and the therapeutic doses are far too large for your system to adjust to. 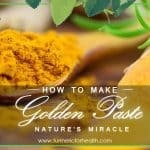 When taking Golden Paste, if you have never tried turmeric before start with a small dose say ¼ teaspoon and increase the dose gradually in a weeks interval. Always take it with food to minimize the aftertaste and chances of reflux. Make sure you are using organic turmeric. If taking supplements take them immediately after food to avoid chances of reflux and this will also ensure better absorption of curcumin. Consult a doctor for the dose and do not take it for the long term. Hi. Interesting and quite thorough article. Thanks. I do want to point out though, that quite a lot of people are actually “suffering” from low stomach acidity, not high or elevated acidity. So reducing stomach acidity is not always a good idea. Was just wondering if turmeric in the case of low stomach acidity might promote the production of hydrochloride acid. And if so, that might be experienced as a sudden heartburn type of feeling. Would seem plausible. Hi. Traditionally turmeric and other spices are said to improve digestion. 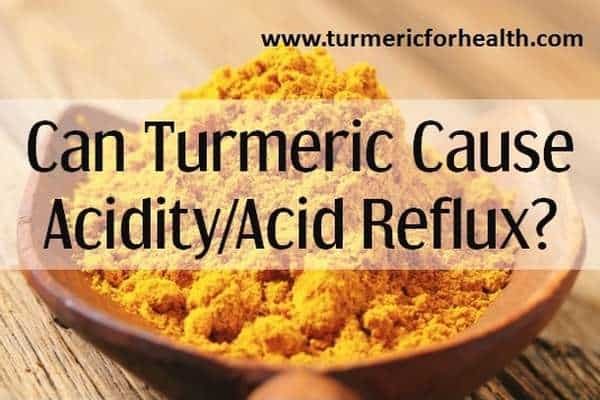 So this could be linked with regulation of acids and enzymes in the gut but we have not come across any evidence that suggests that curcumin increases gastric acid secretion. We would have to wait for more research before commenting on the same. What about the black pepper in turmeric paste? Wouldn’t that be an irritant? Hi. The amount of black pepper you would get in a single dose of Golden Paste (1 tsp) is very less to cause gastric irritation. But yes in case of sensitivity to black pepper or if you have added a huge amount then it may cause acid reflux like symptoms. 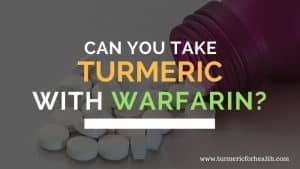 Is it safe to take warm turmeric water before sleeping and after dinner?Bcoz I’m suffering from skin fungal infection for 3 years.I had taken many medical treatments but no results.The medicines that was provided to me showed it’s result untill the medicine tablets was finished.After someday again the red rashes and itching starts making bullseye.Plz suggest me what shall I do? 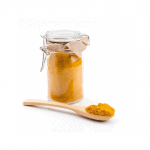 Turmeric is poorly soluble in water but readily soluble in fats.You can take Golden Paste. Start with small doses such as 1/4-1/2 tsp and if you see no side effects then increase the dose gradually to 1 tsp 2-3 times a day over a few weeks. 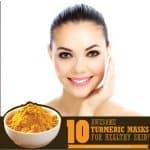 Effective remedy but causes skin/clothes staining: Mix 1 teaspoon of Turmeric or Henna in 10 ml Water and 10 ml Vinegar/lemon juice to make a batter-like paste. Use an old tooth brush to apply on the affected area, massage gently and let it dry. You will feel the soothing, fungicidal effect. Then wash off after 20 minutes. Do this at night or during weekends as this will cause Yellow stains on skin and clothes. (Stained clothes can be washed, rinsed in a weak solution of baking soda and dried in sun). I’ve had Barret’s esophagus for at least ten years now and I’m concerned about the negative long term side effects from taking omeprazole (20mg) once daily in the morning. A friend of mine and a nurse both told me to try taking one turmeric curcumin 500mg pill daily with almond milk. I’ve seen warnings against doing so with the omeprazole. I’ve yet to speak with my gastroenterologist about this, but my regular doctor wasn’t sure and basically advised against it. I bought Spring Valley brand whole herb 500 mg capsules (not organic as far as I know). Are they an okay brand, and, would by taking the turmeric pill at dinner time counteract the possibly bad interaction with the omeprazole I take in the morning? I’d like to eliminate the omeprazole pills someday altogether. What do you think? Hi. We don’t have adequate data to comment on the brand. Curcumin in turmeric does interfere in drug metabolism. So it is advised to keep a 3-4 hour gap between taking curcumin and medications of any kind. But if you are taking Omeprazole in the morning and turmeric at night, that is quite a sufficient time gap to avoid interactions. However it is advisable to consult an herbalist or naturopath about this and confirm it. You could also consider dietary turmeric in the form of Golden Paste or Golden Milk to help alleviate Barret’s Esophagus. I recently started taking curcumin at recommended low dose twice a day with meals. Although I suffered acid reflux for many years for the past 6 or more years I’ve basically been in a remission and I’ve maybe taken 1 or 2 Tums a year at most since then. 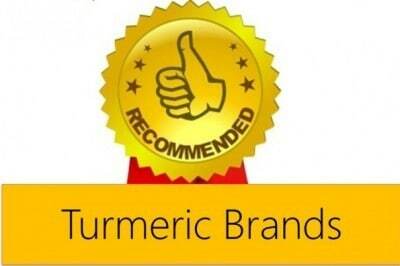 My husband, a physician, researched curcumin and ordered what is supposed to be a very high quality brand. I did not know that it could cause any gastric upset except that I had several days of extreme IBS-D after starting it. A few days after starting it I had a reflux episode, post meal, that was one of the worst, most painful I’ve ever had. I did not connect it to curcumin but was puzzled why it happened. A few days ago, couple days after first reflux, that happened again after a mild and not overly large meal. My throat and back of mouth are just now feeling a little relief from the severe “burn” the acid caused. I told husband-doc about it today and that is when he told me it can cause refux in some people and to stay off of it for a few days. I eat low carb, not a lot of spices, reasonable amount of grass fed and good oils, and rarely touch any grains, dairy, except for grass fed butter and hard cheeses. 6 years with no reflux, no change in diet, and then 2 extreme episodes of reflux is indicating that this person is most likely suffering from curcumin induced acid reflux. I’m not happy about this as I did want to take curcumin. If taken at high doses on an empty stomach curcumin may trigger acid reflux in some individuals. And that is what we have highlighted in the above article. 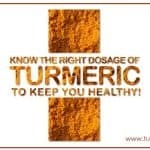 It is always advised to start with low doses of turmeric in diet and increase gradually. Also to be avoided on an empty stomach. These precautions also apply to curcumin. Hi is 300mg of 95% curcumin taken daily considered high dosage ? And at this dosage will it cause acid reflux ? Hi. 300mg 95% curcumin is not a high dosage and is unlikely to cause acid reflux. Still we recommend taking it after meals to avoid any acid reflux like symptoms. Have been taking Turmeric since mid Feb 2016. My Acid Reflux has given me hell for 12 years. Since Feb I was still taking 2 x 30mg of Lansoprosole daily along with the Turmeric, after a couple of months I had bad stomach problems and uncontrollable flatulance. I decided to half my medication to 2 x 15mg, that did the trick. since then my Acid Ruflux is nowhere near like it was and is well on the mend. I have a heaped teaspoon of Turmeric paste into a heated mug full of full fat milk, stir well in and add runny Honey for taste. I take this straight after breakfast. I may also add that my Spinal Arthritis and Migraines have fully relented again afte some 12 to 15 years. Turmeric and Black Pepper has been a life saver. Thank you very much for sharing this, David. We are glad to hear that turmeric has contributed positively to your health. You are welcome and thank you for the appreciation. you must drink atleaast 500ml of water in empty stomach every day morning and after 30minutes drink the warm water with turmeric. 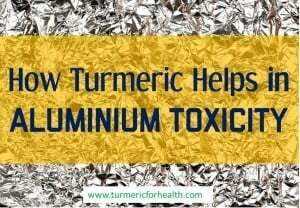 Please check the brand of turmeric youare using. further after drinking the above donot drink coffee or tea.for lot of people coffee with ilk or black coffeee doesnot suit. I take 1/4 tea spoon turmeric,pinch of pepper, 1 tb apple cider vinegar, tiny bit of honey and 1/2 lemom in a warm glass of water every morning ,but don’t know the reason, I got gastric pain recently and I’m taking Nexium every day? Do you think taking empty stomach is the reason for my problem? Turmeric is not soluble in water and also the dose is quite less to cause any side effect even on an empty stomach. How long have you been taking this and when did you start facing the gastric pain? 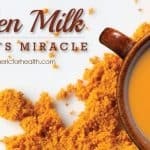 If you drink Turmeric milk on an empty stomach or even between meals, it will be of none or of little benefit to you, it will go straight through your system. Take after a meal or mix in Turmeric Paste into your meal to allow your digestive system to do it’s job.